OCD has brought you a first here with their Billet Valve covers. These beautiful covers are CNC machined for a perfect precise fit. 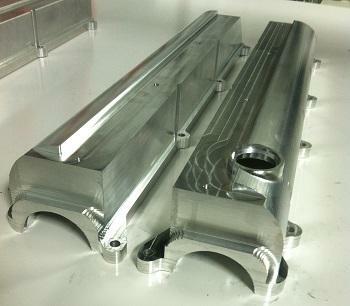 These come in standard machined finish but can be coated to your liking for additional. Included in your purchase of the covers are the baffle plates along with custom oil cap! -10 Breather ports come standard on the rear of each cover.